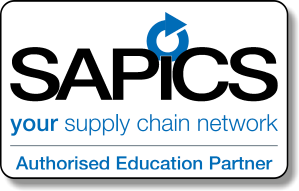 "First make your people, then make your product"
SAPICS is the leading provider of high quality, cutting-edge education programmes aimed at advancing Supply Chain and Operations Management Professionals' ability to succeed in a changing and increasingly competitive market-place. SAPICS offers a range of courses in various fields including those of manufacturing, logistics and distribution, as well as materials management. 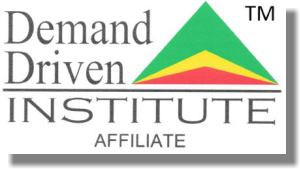 "A hands on course for those in operations management"
This course covers the basic principles and techniques applicable in the practice of Production and Inventory Management. It is suitable for those working in the field, and wants to obtain or update their professional knowledge, those entering this field or working in a related field such as Purchasing, Accounting, Marketing, Engineering, Data Processing etc. It aims to provide the students with an-depth understanding of Production & Inventory management as well as assistance in interdepartmental understanding and to instil accountability and responsibility. It is recommended that a learner should have a minimum of a Grade 12. Outcomes, Introduction, What Is a Forecast?, Data Collection and Accuracy, Forecasting Techniques, Quantitative Forecasting Methods, Mean, Median and Mode, Time-Series Forecasting Models, Forecast Error, Safety Stock and Forecast Uncertainty, Summary. "A Basic Course for those working in Manufacturing Operations"
The Basics of Manufacturing and Operations Management is an entry level course for those wishing to make a career in one of the many disciplines of supply chain and operations management. This program assumes no prior knowledge of supply chain and operations management techniques and serve as the first stepping stone to a certification in supply chain and operations management. There are no formal qualifications for entry onto this course, although a candidate must have basic literacy and numeracy. Management, Supply Chain, and Customer Service. Types of Production and Production Materials. Lean, Waste, and Continuous Improvement. "Ensuring the people in your store can tell you what you have and where it is"
The importance of the storekeeping function is often overlooked. This seems incomprehensible when you consider the value of stock this function is responsible for. This course is targeted at all stores personnel, including the store man and all first-line supervisors. Other major users of the stores function also gain specific benefit from attending this course. The aim is to introduce candidates to the concepts of stock control and to develop stores control personnel who are able to accept responsibility through the understanding of the requirements of their function. Basic literacy in English, and a basic understanding of numeracy.